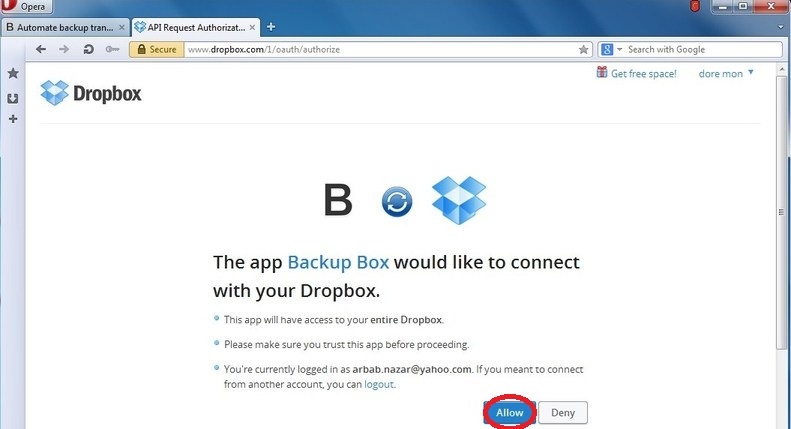 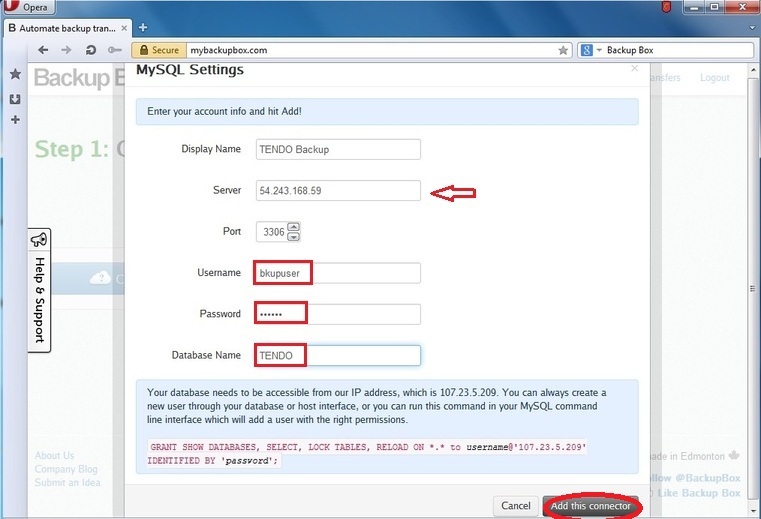 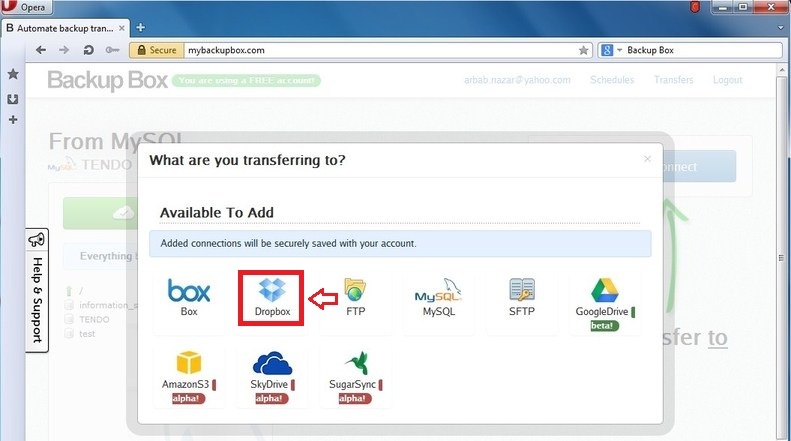 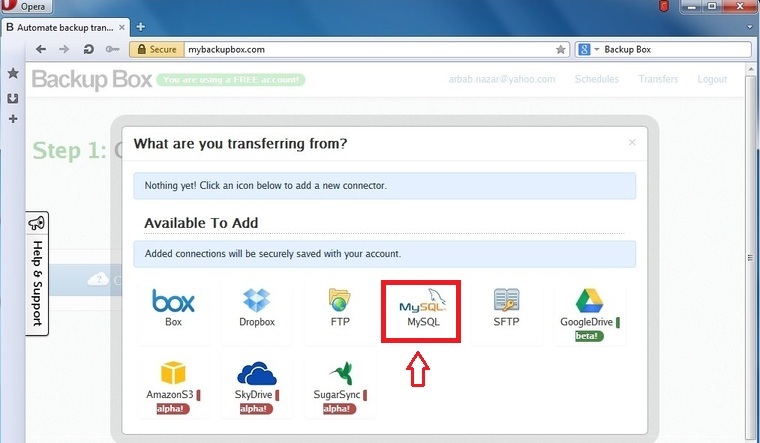 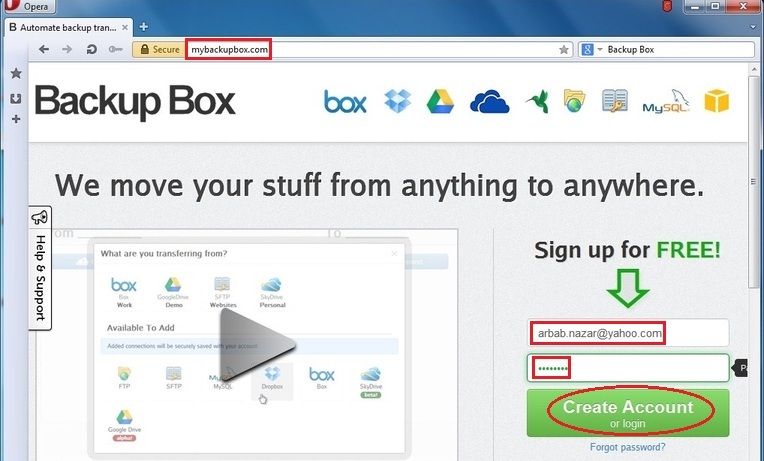 In this tutorial, we’ll learn that how we can take the backup of database using the tool named My Backup Box, which is nothing but just a website that is used to help transferring files between different services. 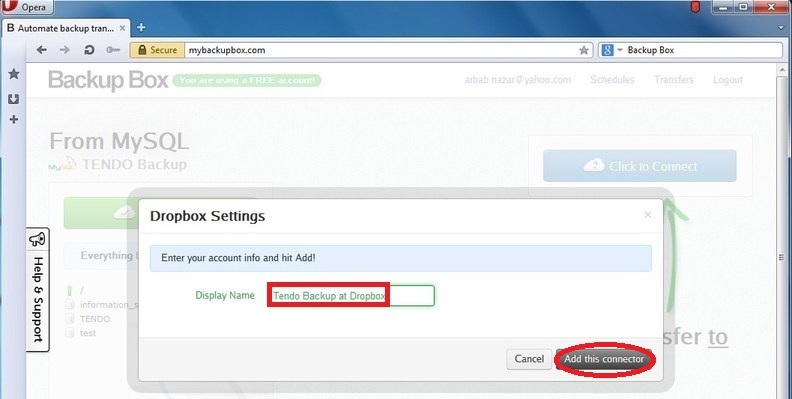 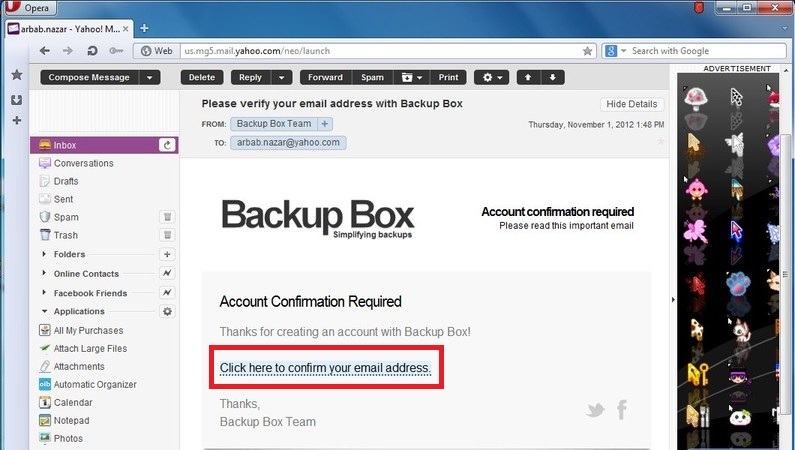 Note: Before providing these information, you need to allow Backup Box IP address (107.23.5.209), so that it can access your database. 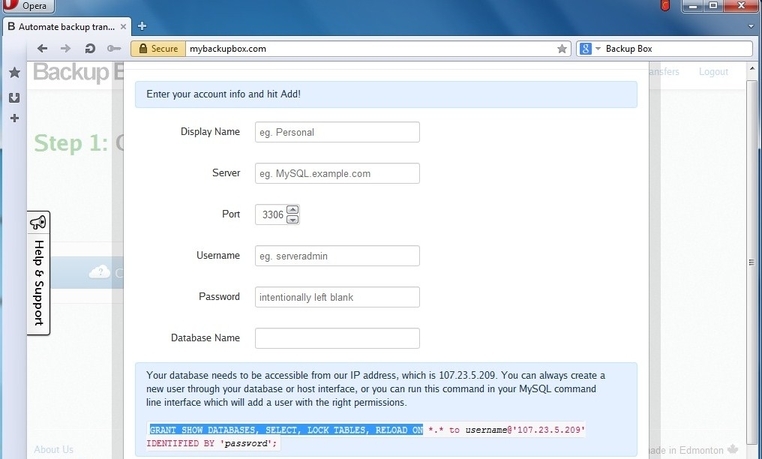 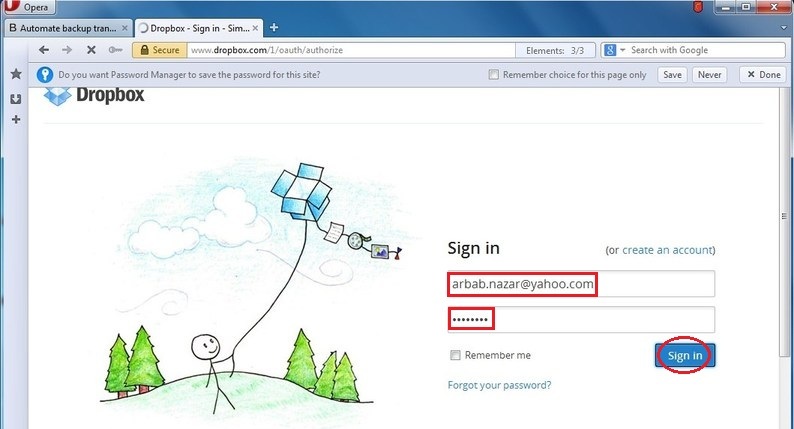 Note: Please don’t waste your time to hack this system, this is just an Amazon micro instance that I have specially created for this tutorial! 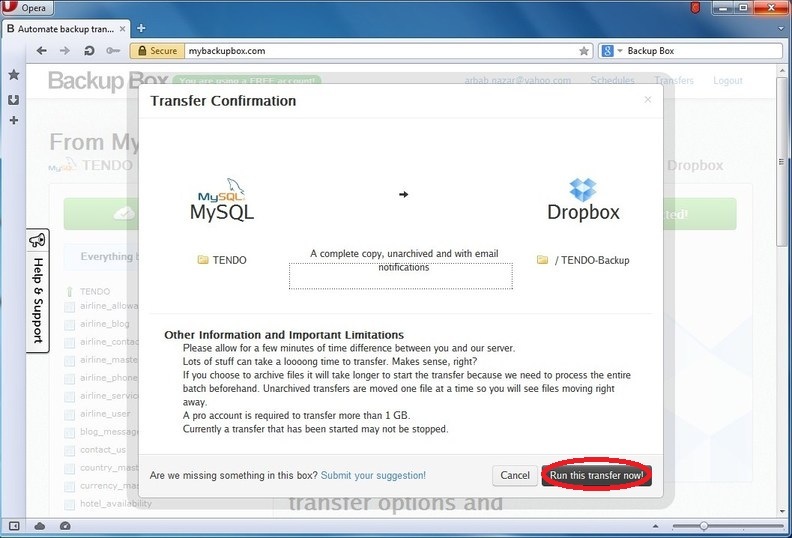 Note: You can also schedule this transfer to happen automatically by simply hit Schedule This Transfer instead of Transfer Now.